This week's snapshot winner is Gary Layda, metropolitan government photographer for Nashville, Tenn.'s Photographic Services. 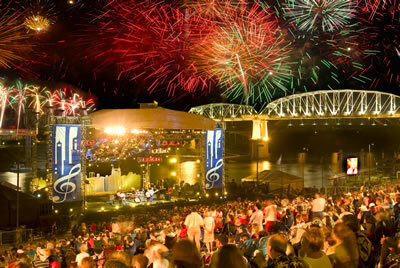 The composite photo, which combines three separate images, depicts a Fourth of July fireworks display and a crowd of onlookers at Riverfront Park. 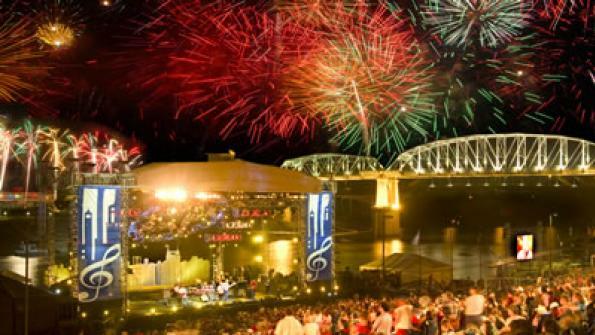 The city's fireworks show is rated third in the nation by the American Pyrotechnics Association.